I was watching the reality show, Four Weddings, over the weekend and I ended up throwing a shoe at the TV. Well, it was actually a slipper, but still. Why on earth would a bride subject herself to such scrutiny on one of the most important days of her life....on purpose?? Is a honeymoon that important to win? Some of these girls are really mean and catty. I can't even imagine what thoughts would be running through my mind if I were a contestant and the episode finally aired. Actually, I would probably be pretty devastated. I wouldn't like someone criticizing my choices. Thankfully I'll never have to find out. The upside to watching was one of the girls had this amazing dessert table. She had all sorts of candy, cupcakes, cookies, tarts. And chocolate eclairs. Naturally, I was on it. 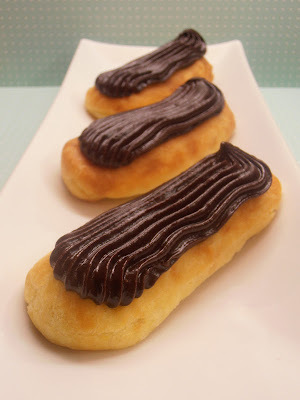 I'm certainly not a pastry chef by any means of the word, but I do have an incredible eclair recipe from a family friend I attempted once years ago and it was a major flop. Literally. My puffs deflated 4 seconds after they were removed from the oven. This time, I figured it out. It's all about the air. Which is probably the main content in the brains of those that choose to go on reality shows. Lots of air and a smidge of insanity. 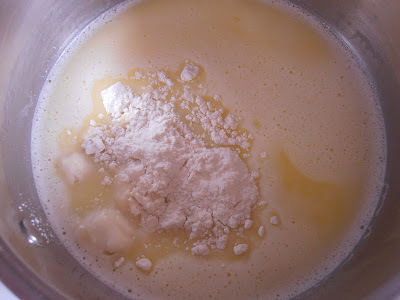 **You can add more or less Baileys to your liking, just be sure the milk/Baileys creates 4½ cups in total. I would strongly recommend you do not add more than 1 cup of Baileys as the flavor will yield a very strong liqueur flavor. I would imagine Baileys Creme Caramel or Coffee versions would be spectacular in this treat. Preheat oven to 400°F. Line a cookie sheet with parchment paper or silicone mats. In a large saucepan, combine milk, butter, sugar, and salt. Bring to a boil. 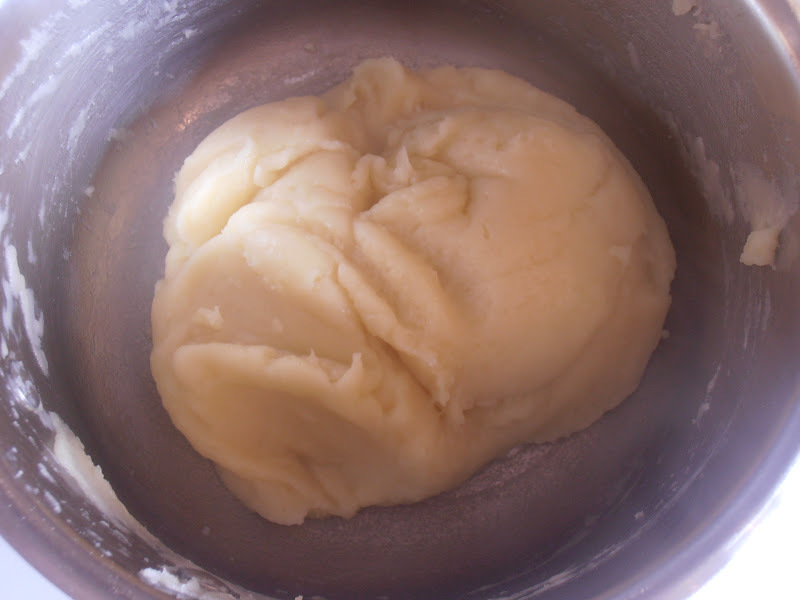 Once butter has completely melted, remove from heat and and slowly add flour, stirring constantly. Put saucepan back on heat and continue to work with a wooden spoon. Continue to vigorously stir until dough forms a ball. Remove from heat and add eggs, one at a time, stirring as fast as you can! It is important that you do this. 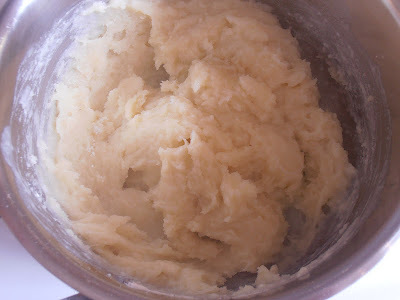 You will end up with scrambled egg dough if you do not work quickly. 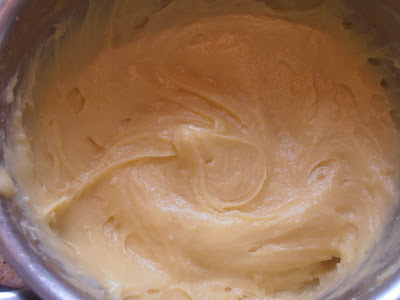 I prefer and recommend that you use a stand mixer if you have one. Place dough in mixer and add eggs one at a time. I did the hand method to show it can be done this way while getting an upper body workout! 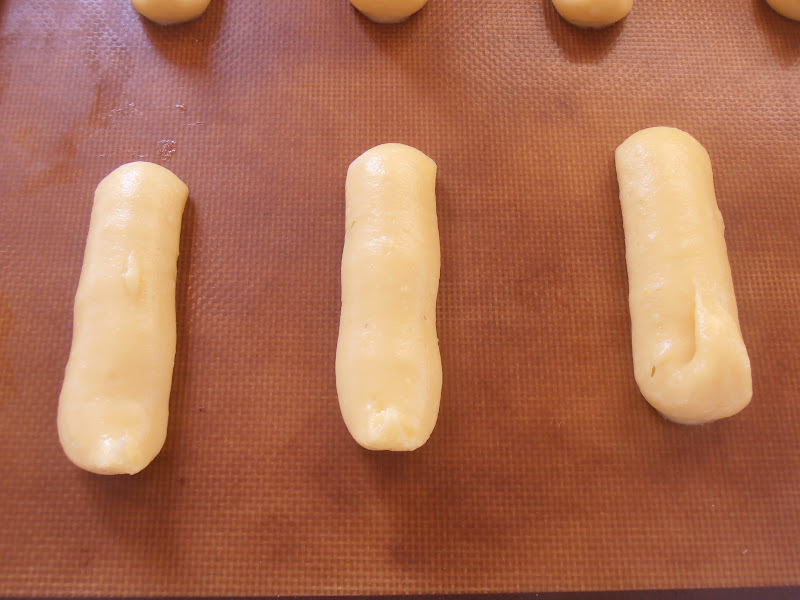 Fill a piping bag with dough. Squeeze out 4 inch lines onto baking sheet, keeping them spaced apart about 2-3 inches. Bake for 10 minutes. Turn oven down to 375°F and bake another 12 minutes with the oven door open. Remove from tray and allow to rest on a wire rack. It's important to keep them well ventilated so they don't go soggy. Using a knife, cut slit at top of eclair and pipe custard into it until it's filled. Set aside to rest. 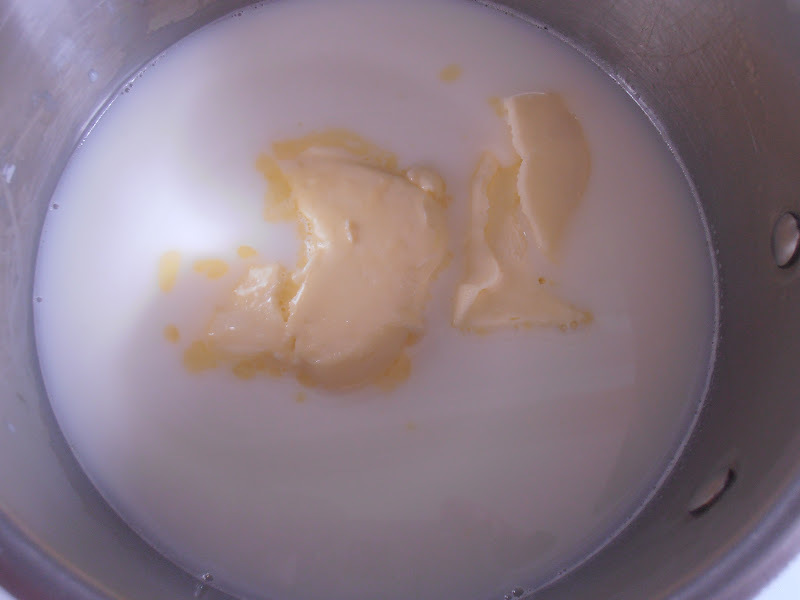 Place cream in saucepan and bring to a good simmer. Place chocolate into a heatproof dish. I use a glass measuring cup. Pour hot cream over chocolate and stir until melted. Let cool. 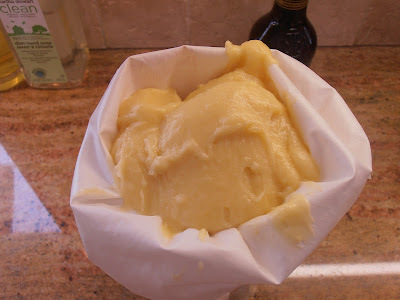 Transfer into a piping bag. I used a star tip for decoration, but you can use any tip (or none) if you wish.